CINCINNATI -- Recorded 911 calls reflect chaos and confusion after a deadly shooting at a gender reveal party in Ohio Saturday night that caused the expectant mother to lose her baby. The injured included three young children and the expectant mother, who told local media she lost her baby after being shot in the leg. WCPO-TV reports one caller told a dispatcher: "There's a whole lot of people here shot." 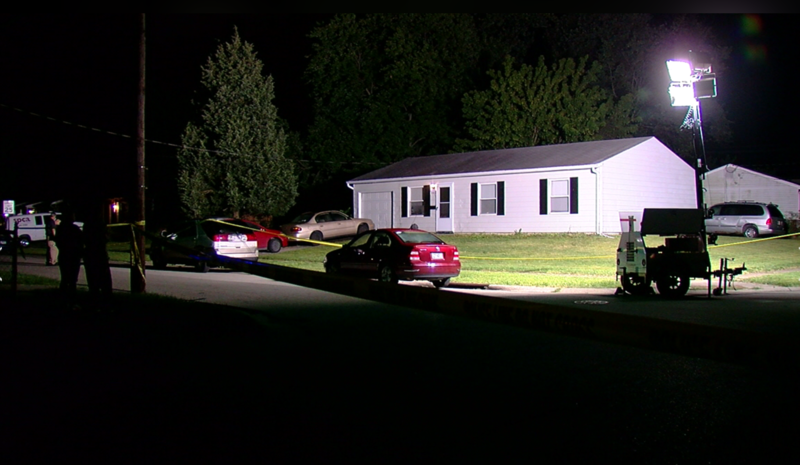 Colerain Township police say two gunmen opened fire at a house party held to reveal the gender of a pregnant woman's unborn child. WKRC reporter Megan Moore spoke to the woman, who she said was on crutches after the incident. One woman died, and eight people were injured. The slain woman was identified as 22-year-old Autumn Garrett, of Huntington, Indiana. A motive for the shooting wasn't immediately clear, but police said they fired into the party at random, CBS affiliate WKRC reports. Police are searching for the gunmen, who were dressed in black when they broke into the home while guests were watching a movie. The three children wounded were ages 2, 6 and 8. None of the eight who were wounded appeared to have life-threatening injuries, police say. "I did talk to the officer that was the first one on the scene and he just said it was horrific," police spokesman James Love told reporters. "He said it was something that was unimaginable, and when he started for calling for help, he said, 'what do I say? I need ambulances, I need people to help me out here.'" The Cincinnati Police investigative unit is assisting the Colerain Township Police Department with the investigation. Police say witnesses are cooperating and asked anyone with information to come forward.